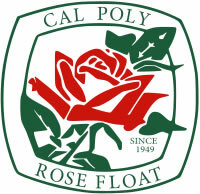 Here is the artist rendering of the Cal Poly 2017 Rose Parade float. Hope to see you at decoration days. 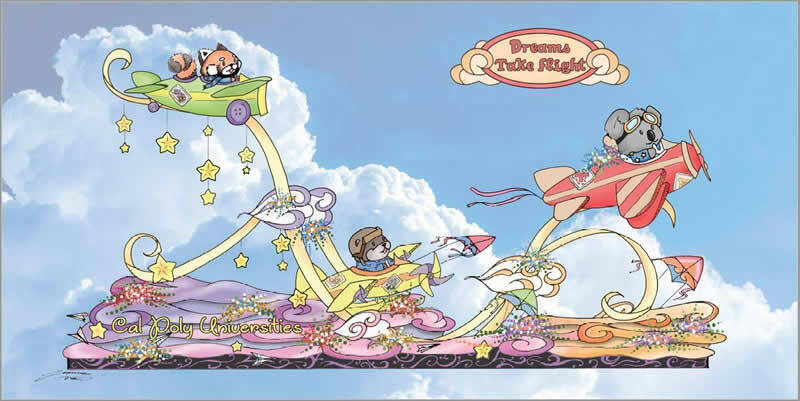 If you would like to volunteer decorating a Rose Parade float, sign up through the Kiwanis Rose Float website Click here for the link. 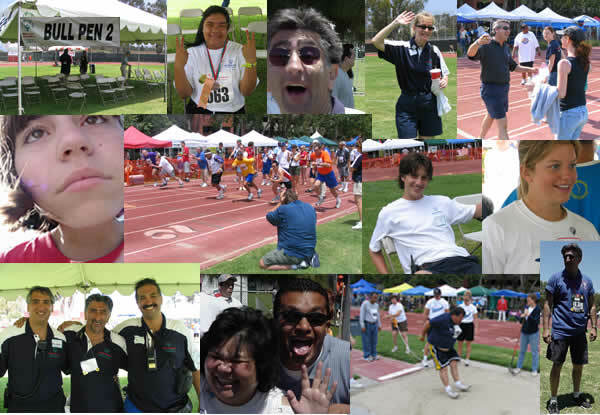 Special Olympics holds a special place in my heart. I started volunteering in 1983 and still love every minute of it. Fun in the sun, fantastic athletes and friendships that last a lifetime. Halloween is a special time of year for me. I started working Haunted Houses in 1984 at the Factory of Nightmares. That's where I met my good friend Rick who gave me my first experience as a cannibal. 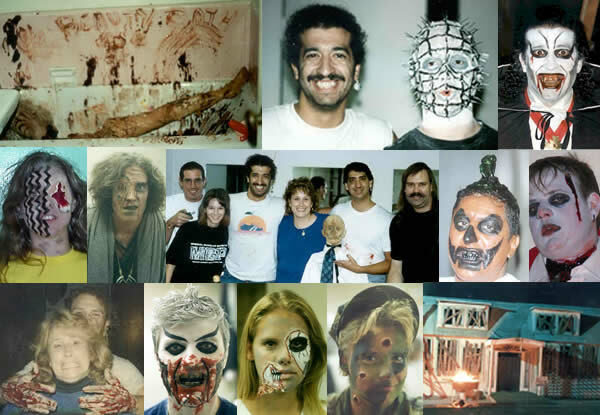 I started doing my own make-up in 1985, ran the make-up for the Factory of Nightmares in 1986 and over the years I have developed my make-up skills to work on up to 30 actors in less than 2 hours. I have run a 22,000 sf Haunted House and helped a number of friends with their houses, from construction, production, special effects and make-up.